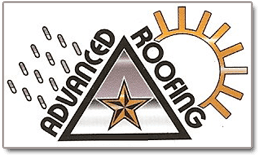 Advanced Roofing is a industrial and commercial roofing company. We are committed to quality and excellence from bidding to finish. Our team consists of a group of trained and knowledgeable professionals that work together to complete the job. One that we are proud of. We are a family owned and run business out of Oakdale , CA. Bill, our owner, has been roofing since 1996 and he began his own business in 2003. With almost 20 years experience, Advanced Roofing continues to be dedicated to the craft and continued education and knowledge of the products - new and old – we make it our top priority.